We love apps. We love free apps. And we love paid apps being given away for free most of all. But we don't like pirates and we don't like stealing. There are plenty of legal ways to get paid apps for free on Android – including in the Play Store – and we're going to share a few with you. Before we continue, it's worth pointing out that free apps may cost in other ways: as one study discovered, ad-funded apps can use an average of 79 percent more mobile data than the ad-free equivalents. If you're on a limited monthly mobile data plan, choosing the "free" version of an app may be a false economy. Freapp is one of my favorite apps because every morning I'm greeted by another new app for free. It's not always one I want but saves me having to look through a ton of lists that other sales apps have. As with any deals program, the offers vary: some apps won't be eligible for updates, and some of the free apps probably don't cost anything to start with. Nevertheless, the deals just keep coming and there are often some real gems in there. This app will delight the thrifty. Most developers make their premium apps free temporarily for promotional reasons or during sales, and once you download an app, it's yours. Rather than always be looking on the Play Store for deals, this app collects the paid apps that are currently available for free and displays them in a list. You'd be surprised just how many on any given day, but of course, most aren't so great. Thankfully you can use advanced search and filter options to sort for what you're most interested in. The games posted there are sorted by popularity and discussed on site. Quite often the app developers themselves will answer your questions. 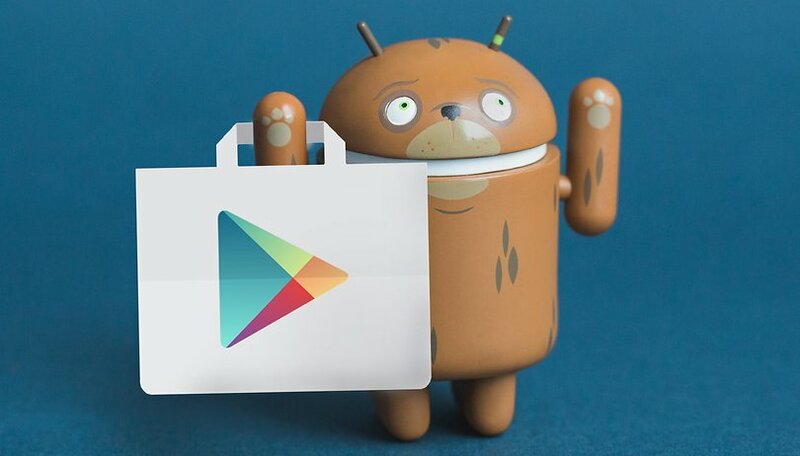 We've written about Google's free Play Store credit in exchange for answering surveys before. If you're not aware of it yet, Google offers its very own rewards program because, well, it wants even more information about you and your habits. Simply install the Google Opinion Rewards app, fill in a short survey and collect your coinage. You're limited to one survey a week (so you won't exactly be able to retire early), and you don't always get paid for every survey, but you can earn up to a dollar per survey. Not bad for a few minutes of your time. Some apps, such as AppSales, enable you to add apps you're interested in to a watch list, so you can be notified when they go on sale. It isn't exactly free, but it's still better than full price. Plus, AppSales does occasionally post free apps. How do you score paid apps for free (no illegal methods, please)? What's the best deal you've ever found for a paid app? Make yourself heard in the comments. If you speak any other language other than english you can also try to contact the developer and help him translate the app, most of them give you the pro/premium version "for free" for helping them. Google Opinion Rewards works great... I've been using it for a few years now and have purchased a couple apps and made numerous in-app purchases. I've subscribed to https://sharewareonsale.com and https://www.giveawayoftheday.com, and I find useful and interesting programs for both PC and Android. Not long ago the Play Store itself had a section for "On Sale" apps, many free. Now terminated, probably because it was being "gamed" as a shortcut to undeserved status for a lot of crummy junk discounted from faked "regular" prices. (For apps in the article, see if the shoe fits.) With all the junkware, it was a one-stop service worth checking now and then and I got several very good products free. Hope Google will fix and bring it back. ubuntuvibes.com gives a daily list of apps that have become free. Many are icon packs or games, but occasionally a gem comes along. A nice piece of information and looking fabulous, Honest work and please update some more. yes these are the true methods to use i have used google surveys and a app which gives gives you notifications of ongoing sales of free apps using the apps provided by apk apps sites are not the best way because you can get a virus or file you dont want and also it is not good to get someones work for free, i only like the google syrveys vecause its secure and google already knows about you so no metter if they ask anything.. But a great post. Sorry to toot the competition's horn, but Android Police runs a feature a couple times a week, usually on Wednesday, listing free and on sale apps & games. I've seen big named apps there on sale, like popular launchers, Nova, and others. They feature new and notable apps that are only weeks old. So if you like trying out new stuff, you should definitely visit AP. You've missed, "Paid Apps Gone Free" (or "PAGF"). The apps that you get from other app stores most of the time, won’t be updated through the play store, even if that same app is on it, especially paid apps. If the other AppStore doesn’t have a updater,you won’t be able to update, unless apkmirror has a newer version. Amazon underground app! This app has an entire section of 100% free apps, and it's not cheesy apps either, I'm taking about good quality apps like plex ($4.99 on Google play) In addition to this, the Amazon app store gives away a free app every day. Just sign in an look for the free app of the day. I have a rediculous amount of good free apps from Amazon, apps like Where's my water, Tetris and Cut the Rope. Amazon is all you'll ever need. almost all paid app are available free in Google play but then you can play some of the mission there and then you should pay for other mission. I can't seem to find the Google play store "free app of the week" has it ended or moved? You can also go to Google Play - Get paid apps for free. good luck! Nice idea, but m not sure its 100% legit.